“ARE YOU A GIFTED CHILD LOOKING FOR SPECIAL OPPORTUNITIES,” says the headline of the advertisement in the newspaper. This intriguing line draws the reader in by wanting to find out what it was all about. 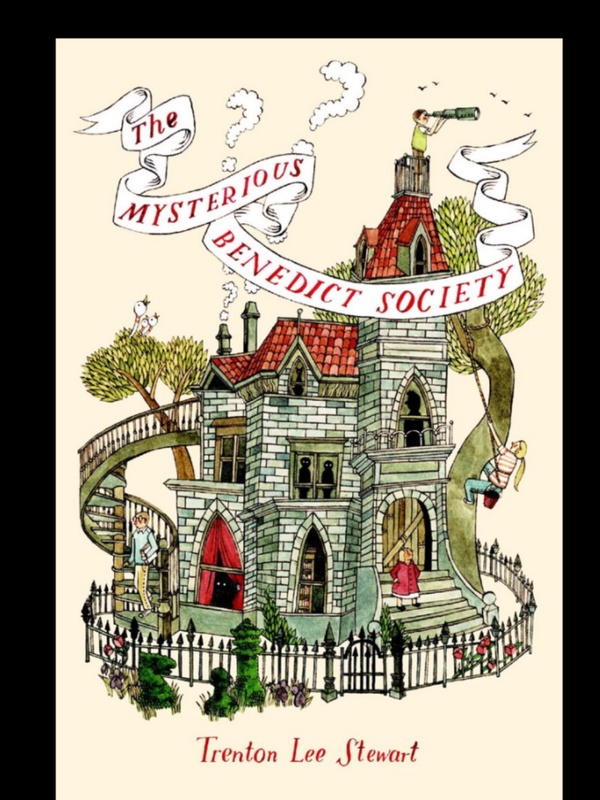 Trenton Lee Stewart’s The Mysterious Benedict Society is the story of four kids who were recruited by Mr. Benedict to work undercover as secret agents to defeat Mr. Curtain. Mr. Curtain is the founder of the Learning Institute for the Very Enlightened (L.I.V.E), a secluded boarding school now known to be the source of telepathic transmissions. The story follows the adventures of Kate, Reynie, Sticky, and Constance who all have special talents and go on a mission to stop an evil genius from programming messages into people’s minds. The kids talents are that Reynie can problem solve, Kate is physical dexterity and fearless, Constance is extreme mentally sensitivity, and Sticky can read exceptionally quickly and memorize it word by word. If Mr. Curtain succeeds in accomplishing this task, thus he can take over the world. But the villain has a dilemma because the four gifted teeenagers are there to stop him. Friendship and teamwork are the constant theme of this captivating novel. Their relationship reminds me of how much my friends and me care about each other. Although the book is as thick as a textbook, I could never seem to put it down. The way that the author describes the conflict that they have to solve kept me awake thinking about what will happen next. For example, a girl named Martina Crowe hates the kids because they are new and are doing better than her in classes. Since Reynie said to Mr. Curtain “keep your friends close but your enemies closer,” Martina was promoted to an executive. Now Martina is keeping a close eye on the kids and ratting them out too Mr. Curtain even though they didn’t do anything. Kate is the girl every girl wants to be. She is my favorite character in the book because she is resourceful and athletic, cheerful and always looks on the bright side of life, and is always ready for any challenges that come her way. The author sets his novel in present time, but the machines are indicated to be designed for the future. Mr. Stewart switches the stereotype of boys and girls. Out of all the characters in the story, the girls are the athletic ones and the boys are the thoughtful ones. I like how it shows that the girls can be athletic and smart for a change. This draws the reader because it shows that not all girls are “weak” and are not afraid to be soiled. Also it shows that the boys don’t have to be the athletic ones they can be the smart ones. Since this book is filled with action scenes, I think it would be a good read for fourth through sixth graders. I stamp this book with my approval and there are two more books in the series that readers will enjoy.